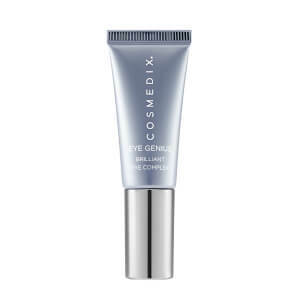 CosMedix Opti Crystal Eye Serum uses powerful antioxidants like Spin Trap and collagen-promoting copper to reduce fine lines and wrinkles, while plumping and smoothing the skin. 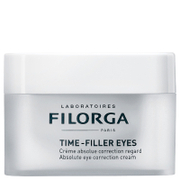 Thin, damaged skin around the eyes is usually the first sign of aging. 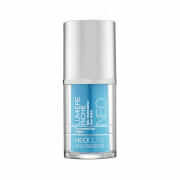 But with liquid crystals to replenish damaged, thinning skin around the eyes, growth factors and alpha lipoic acid, this serum dramatically diminishes the appearance of eye lines and wrinkles. Opti Crystal is the ultimate tool in anti-aging eye care. 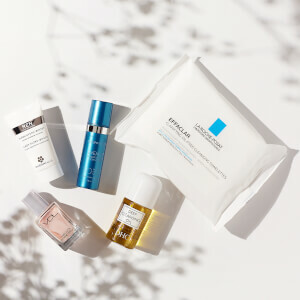 A chirally correct blend of protective, corrective and cell-stimulating ingredients, this powerful eye serum actively revitalizes delicate skin for a radiant, younger-looking finish. 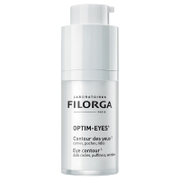 Ideal for those who want a wrinkle-reducing, firming eye serum. Gently pat a small amount around the eye and lip areas (do not massage in). May be used day or night. Spin Trap is a powerful antioxidant that traps and detoxifies free radicals. Copper Gluconate promotes collagen and elastic synthesis.